Congratulations! You’ve signed up for the Victory Ride to Cure Cancer, and now you’re ready to start raising money. Whether you are new to asking for donations or a seasoned fund seeker, we’ve outlined your next steps to make it as easy as possible to get started. 1. Personalize your fundraising page. The key to capturing donors’ attention when they come to your page is to connect with them personally. Explain why defeating cancer is so important to you. How has cancer touched your life? 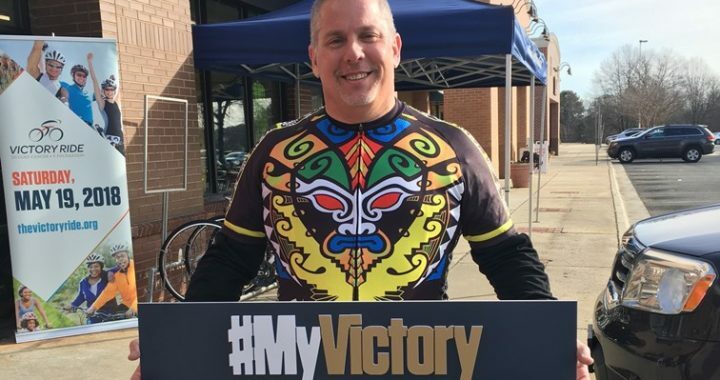 Everyone―even close friends and family members―want to know why you signed up for the Victory Ride. Also, uploading a photo of yourself or with a loved one for whom you are riding adds an even greater personal touch. 2. Make a donation… to yourself! When you make a personal donation to your page, potentials donors will see how committed you are to the cause and to raising money for the V Foundation. 3. Ask BIG. When you ask for $10, you will most likely receive that $10, but you may not be offered more. So, ask BIG. You won’t lose anything if a donor gives you less than you ask for. But, you could miss out on a big donation if you only ask for a small one. 4. Ask everyone. Seriously, we mean it. Everyone. Family, friends, doctors, dentist, veterinarian or the person you start chatting with at the trail head. You never know what someone’s connection to the cause may be. You may be surprised by the generosity you encounter. 5. Set (and celebrate!) interim goals. A way to keep motivated is to set and celebrate small fundraising milestones along the way. Make a list and commit to making a certain amount of asks per day, week, month, etc. Celebrate the halfway point and other milestones in between. 6. Follow up. Your friends and family want to support you, but sometimes they get busy and need a gentle reminder to donate. Send a note to keep them updated as you train and fundraise for the Victory Ride. If a few weeks pass after your initial ask, reach out and ask again. Find other ways to connect with them, too. If you first reached out through email, try using Facebook the next time. It’s often that second or third ask that ultimately leads to the donation. Bonus tip: set a deadline for when you want to hit (or exceed) your fundraising goal. It helps to create urgency with your potential donors and makes it easier to follow up and nudge them to donate sooner than later. It’s also fun for your donors (and potential donors) to follow along and see your progress! Let your enthusiasm shine in your updates―show your passion for defeating cancer with each entry and photo. Remember to ask everyone for their support. Always assume people want to help declare victory over cancer. Once you’ve received your first donation, the next request will be so much easier.